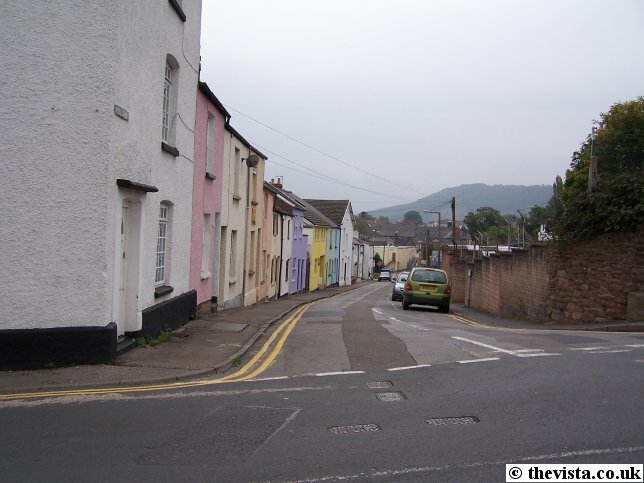 Kyrle Street, Ross-on-Wye, runs east to west from Brookend Street to Trenchard Street and currently mainly contains housing and only a couple businesses. 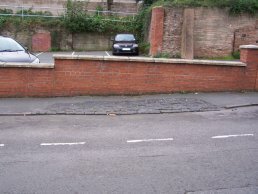 Kyrle Street looking west from where it meets Brookend Street. 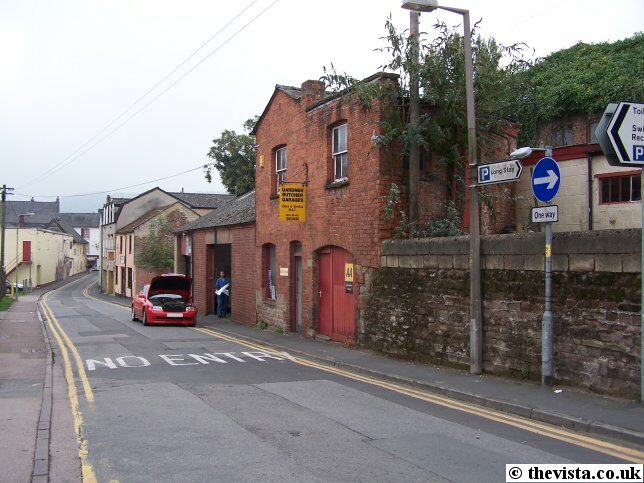 Kyrle Street was originally the home of the Ross Gas Works that occupied most of the south side of the street. 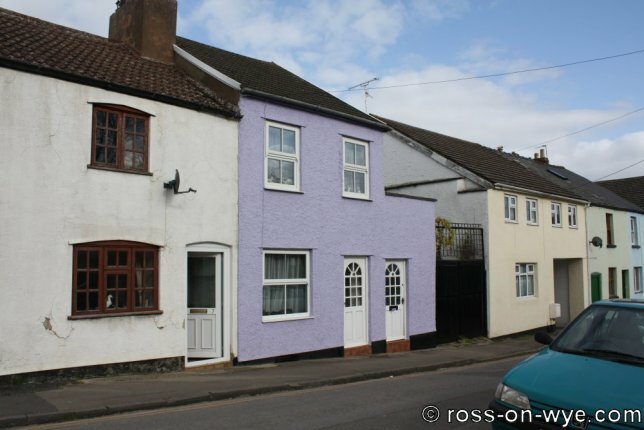 This was built in around 1835 after an act was passed, in 1830, for "paving, cleaning, draining, lighting, regulating and improving the Town of Ross". 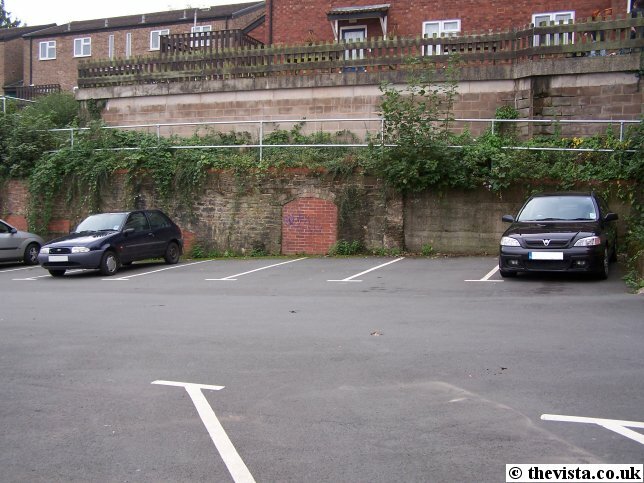 It was run as private venture and Town Commissioners, who were appointed after the 1830 act, had no part in it. It was run as the Ross Gas Company Ltd. 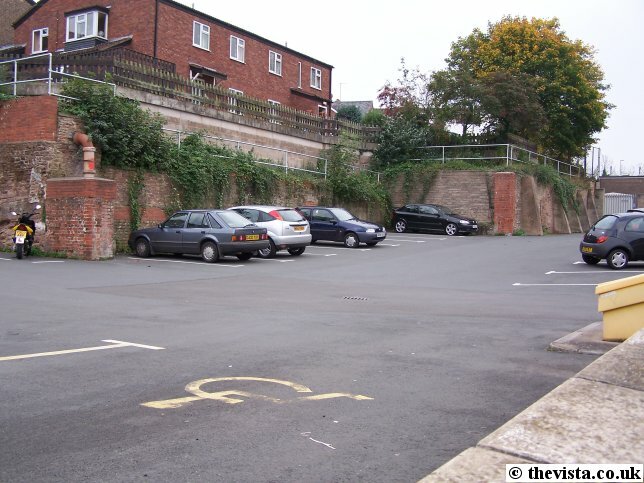 In 1849 the Gas Works was deemed financially viable so the Town Commissioners made moves to buy it but by 1862 it was deemed too small to meet the demand and was sold back to a private investor. The gas works continued to run until North Sea gas was brought into the town. 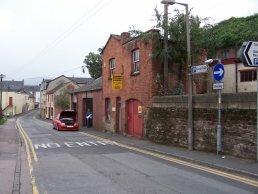 This building, that is currently part of Gardner Butcher Garages, was the offices for the Gas Works. 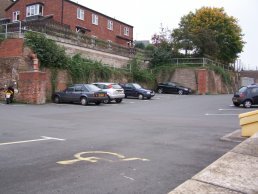 This car park was the main part of the gas works that had two large gasometers for storing the gas in and various buildings used to produce, monitor and distribute the gas. 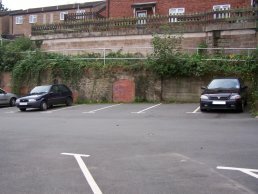 By 1979 this had been changed to a single much larger gasometer at the most western end of the site which was in the far right of the photo beyond the black car (Ford KA). This was to take the new piped supplies coming into he town which replaced the supplies being made on the site. Another view of the gas site of the gas works. 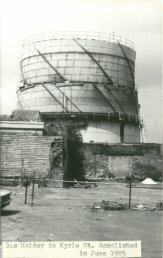 This shows one of the Gas Holders before it was demolished in June 1985. The gas holders would rise in telescopic sections, with a water trough at the top of each section helping to create a gas tight seal. These slums on Kyrle Street were some of the final ones in Ross that were cleared and have been replaced with, what was at the time, modern housing. The purple house, in the middle of the photo, was the True Heart Inn. 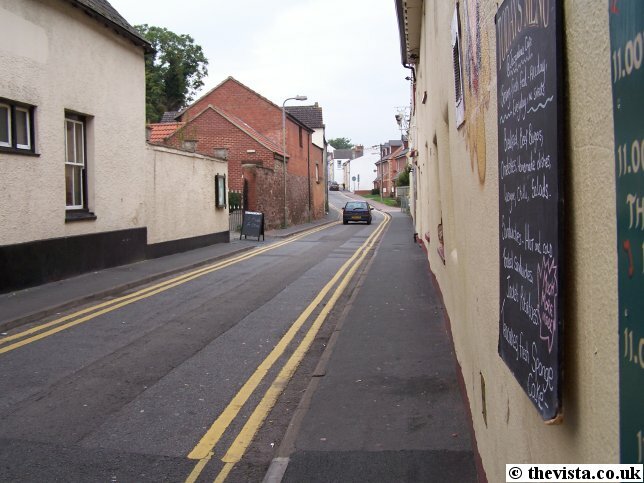 The True Heart Inn was opened by Thomas Bubb in around 18511. 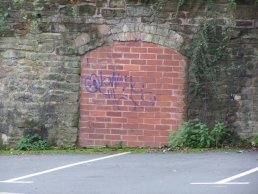 Thomas Bubb was a carpenter, wheelwright and beer retailer and the business was taken over by James Bubb until 1890 when James moved to Birmingham to work on the railways presumably following the wheel side of his trade2. 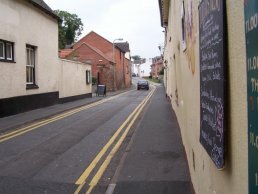 The inn then passed into the hands of George Hodges1 and continued as an inn until sometime around the 1960's when it closed and was converted into a house. 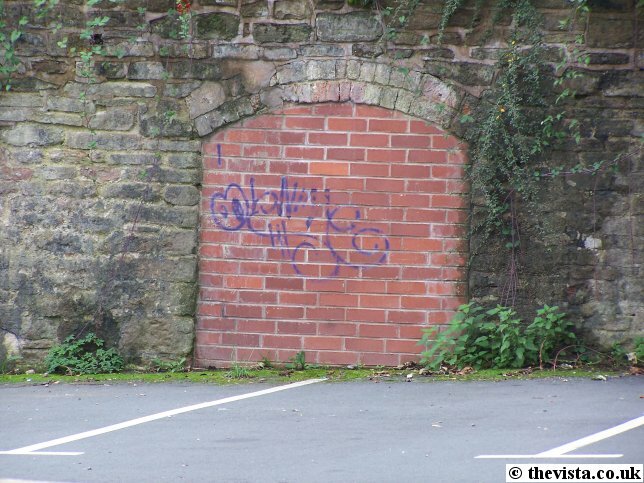 This shows one of the arches that was part of the gas works that was built into the side of the bank. 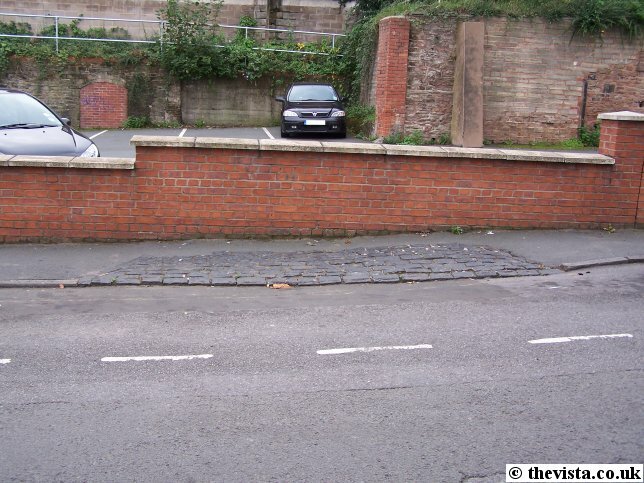 In this shot, you can see that the pavement changes from tarmac with curb stones to a cobbled area. This was one of the entrances to the Gas Works. 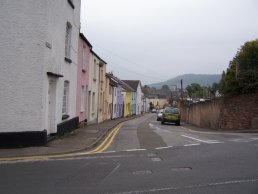 Kyrle Street looking east from where it meets Trenchard Street.